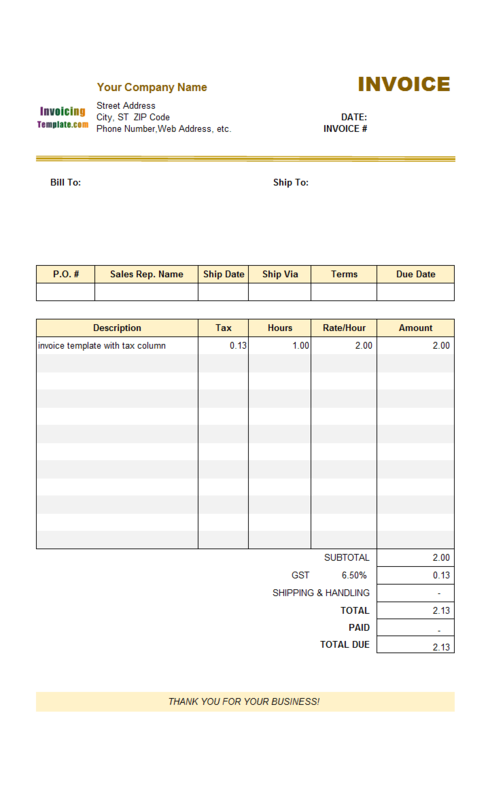 c4108 now includes the customized invoice template for the latest version of Invoice Manager for Excel. This is what you will see when you open customization-of-standard-fields.xlsx. 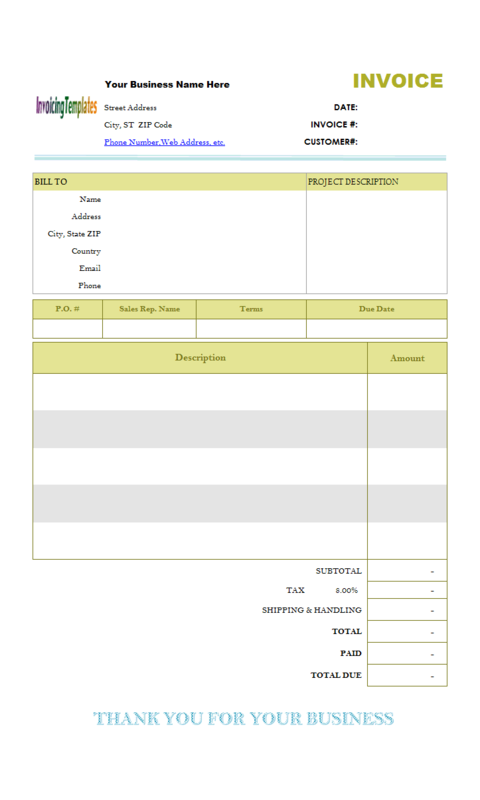 The database fields defined by the default invoice template (or standard invoice template) are useful for common situations. In most cases you don't have to change them. 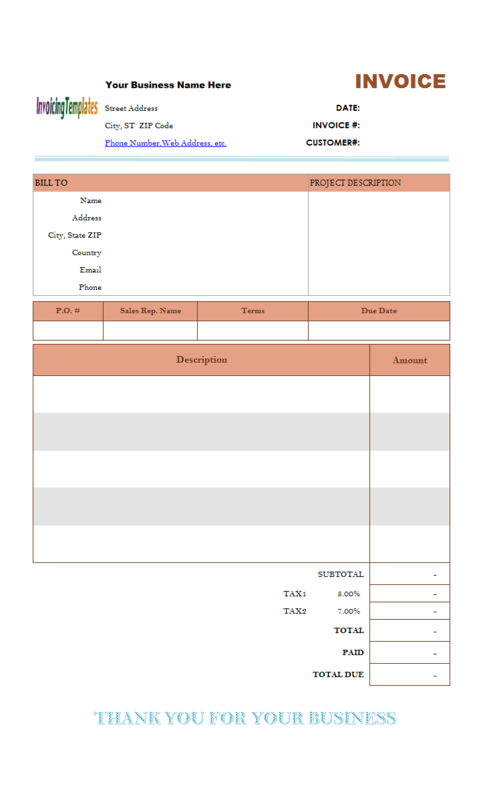 However if it is needed according to your business requirements, here are the steps to follow. Open your template as usual. 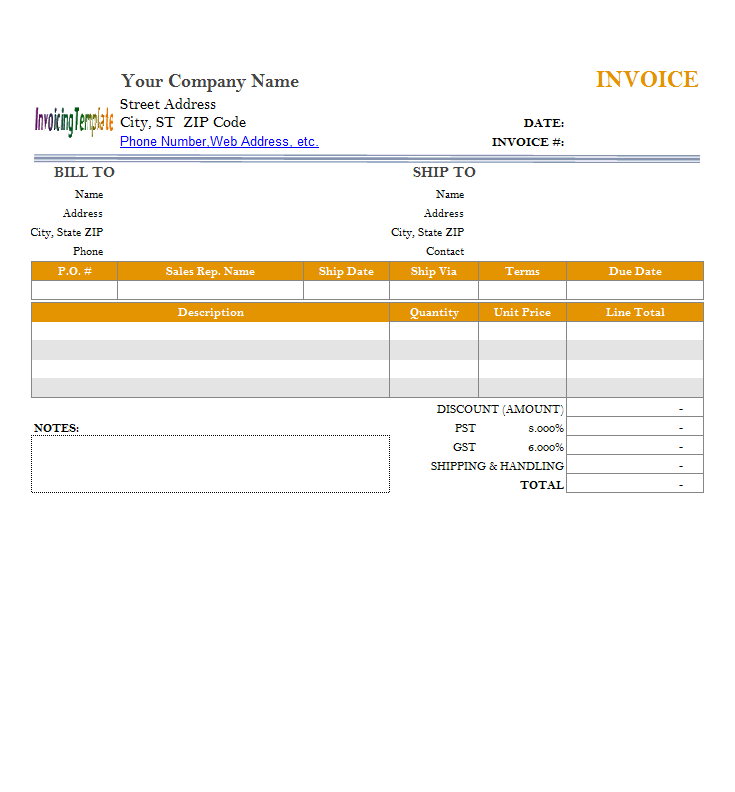 Click "Customers" on the "Invoice" ribbon tab. Click "Custom Fields", and then "Advanced..."
If you have not backed up your database file yet, click the "Backup Database" to do so now. From the "Database Table" list, choose the table you want to modify. 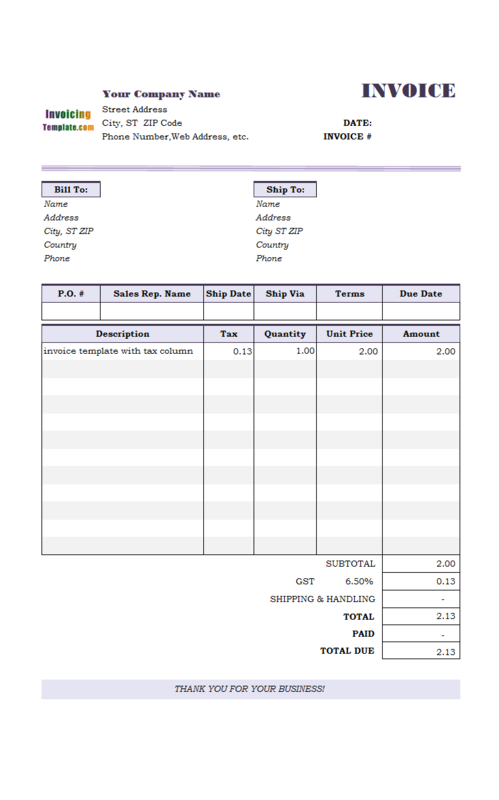 The "Fields" section shows the fields defined in this table. 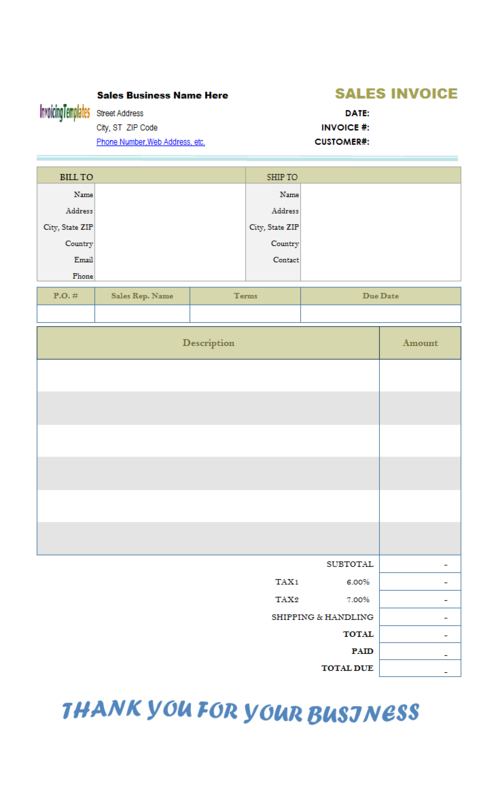 Double-click the field you want to modify; or click to select the field, and then click the "Customize" button. On the "Customizing Field" dialog box, you can field size (or in case of "Decimal" field, its precision and scale) and text alignment method on data list window. Click OK to apply the modification. 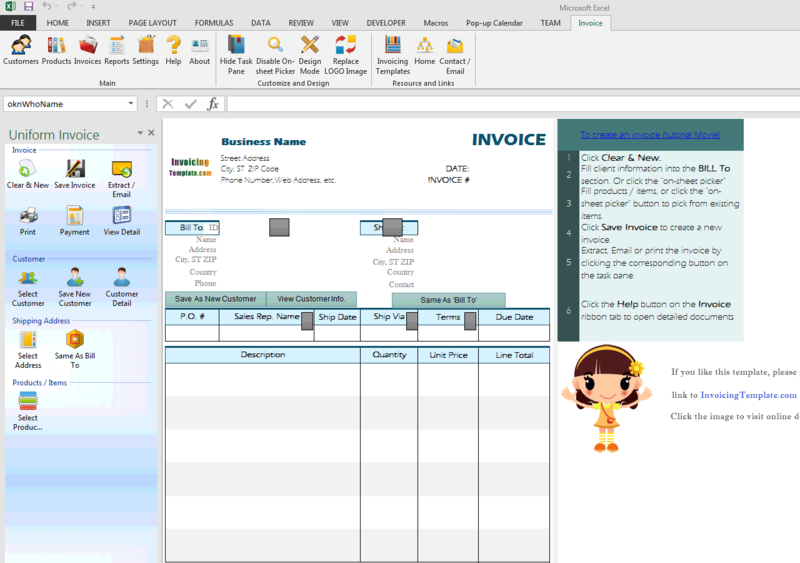 See "Advanced Database Field Customization" chapter of Invoice Manager for Excel (namely Uniform Invoice Software) documents for more information on this topic. 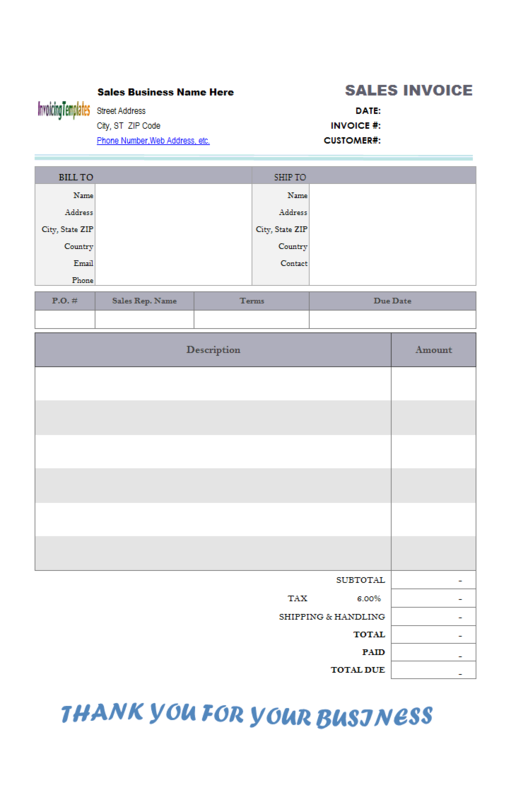 When the Invoice worksheet is active, push the "Design Mode" button on the "Invoice" ribbon tab. 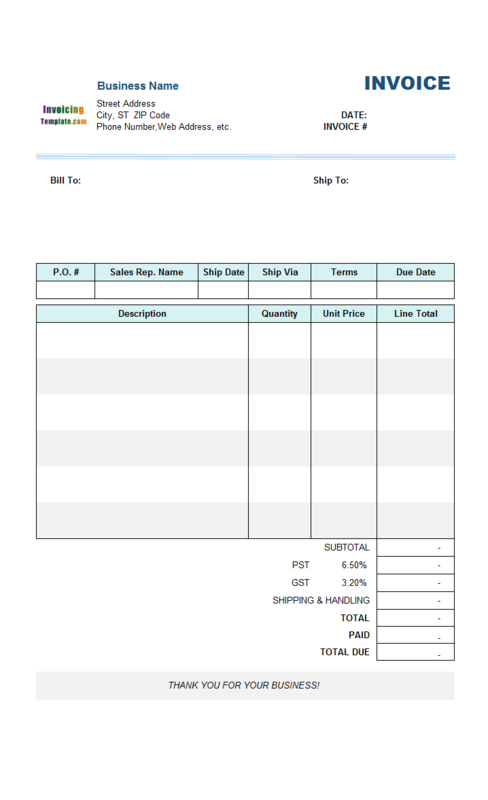 Click and choose the customer name cell that is named "oknWhoName". Go to "Data" Excel ribbon tab, and then click "Data Validation" in the "Data Tools" group. 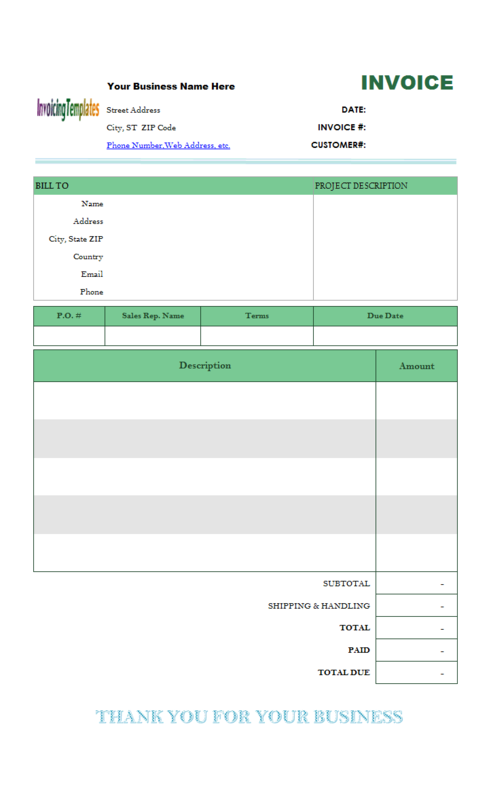 Specify the new validation - for this example, you just need to modify the "Maximum" field to be 80. 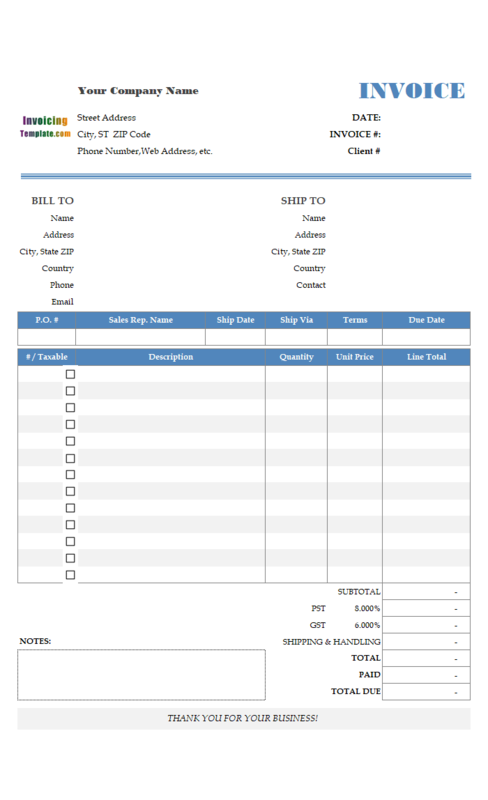 See Customizing Invoice Template for more information. 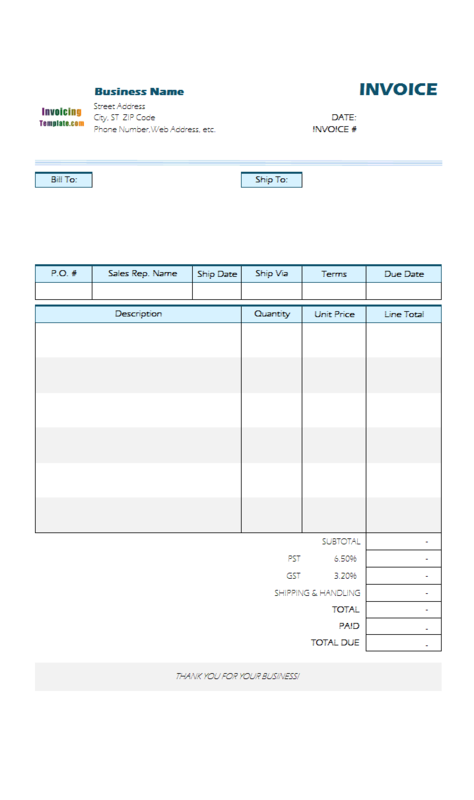 The database and template attached on this page has its product description field, in both the "Product" and "InvBdy" database tables, were changed to 255. 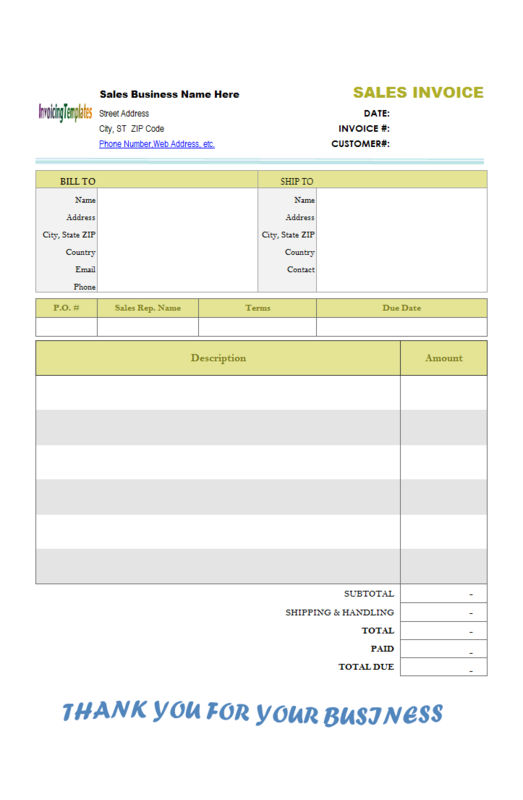 Like other form designs here on InvoicingTemplate.com, Customization of Standard Database Fields is free (offered to you at a price of 0.00USD). It works on Windows XP and all newer versions of Windows, and Excel 2007, 2010, 2013 or 2016.